as the leading man, will be produced by the actor’s management agency, Keyeast Inc. 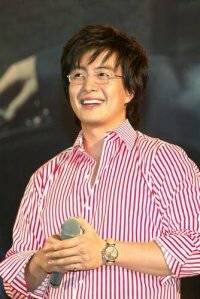 The company recently said it has decided to produce the drama, slated for broadcast in the second half of 2009. It will be the first drama production for the company.”Drops of God” is a phenomenally popular Japanese comic series written by Tadashi Agi and illustrated by Shu Okimoto that gave birth to a worldwide wine boom. Keyeast Inc, which recently bought the copyright for the Korean drama version of “Drops of God”, said it is looking for writers, directors and cast for the show, which is scheduled to air in the second half of next year. It added that there is a high chance that Bae will take on the leading role of Itse Tomine. The company said Bae, who is still recovering from an injury he suffered while shooting “The Legend”, visits the office whenever he can to discuss the direction of the drama, and studies wine in his free time.